Firefly Sunset Resort is located on the quaint island of Elbow Cay, the settlement is named Hope Town. Elbow Cay is located just 4 miles off of Abaco where Marsh Harbour, the city of Abaco is located. Abaco is conveniently less than 180 miles east of Florida and about 100 miles northeast of Nassau, New Providence. 1- Fly into Marsh Harbour, Abaco either commercial or private. 3- Take a 20 minute ferry ride over to Hope Town, Elbow Cay. 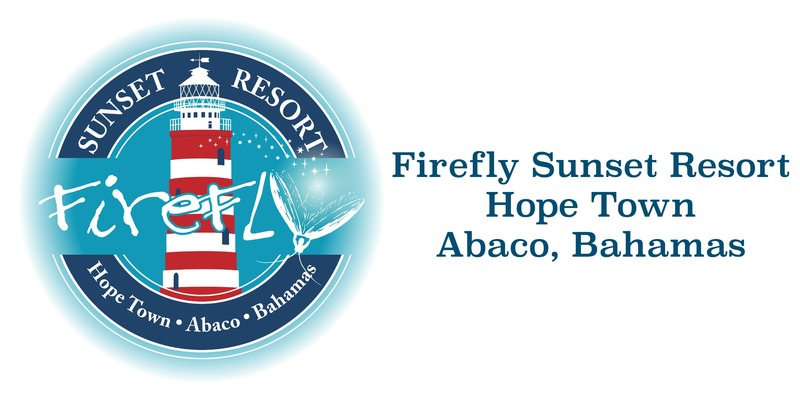 4- Firefly Sunset Resort shuttle will pick you up from the dock in Hope Town harbor and bring you to your villa. *If renting a boat for your stay, coordinate pick up location with the charter service- many will pick you up from Marsh Harbour as well. Check with our concierge services for more information on renting your own boat.